When you think about visiting the dentist, how do you feel? Anxious, worried, or stressed perhaps. Wouldn’t it be nice if going to the dentist was as routine as getting a haircut or manicure? Well it can be. 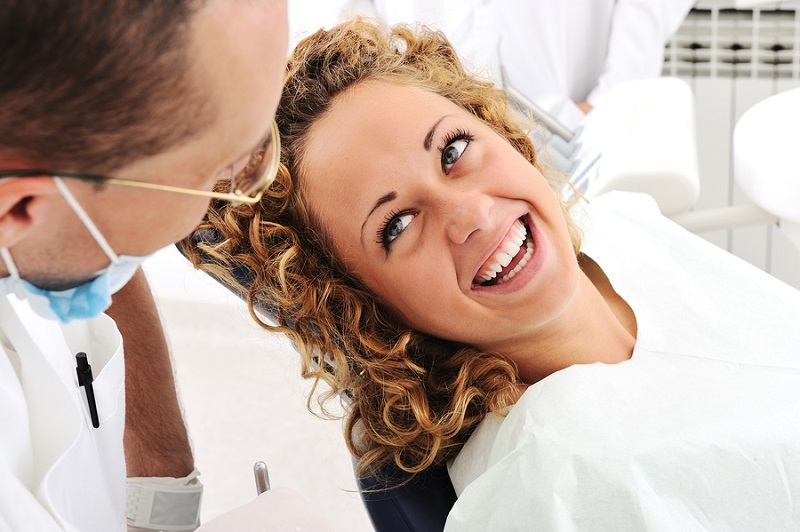 Many modern dental offices focus on making sure the patient experience is as pain-free and stress-free as possible. Plus, the latest dental technology can make procedures like getting a crown or X-rays much more comfortable and safer than in the past. Toothache: Most of us have some kind of experience of toothache. Once you’ve had a tooth that is damaged enough to cause toothache, you don’t forget the sharp, strong pain that comes with it, making you miserable until you can get to a dentist. 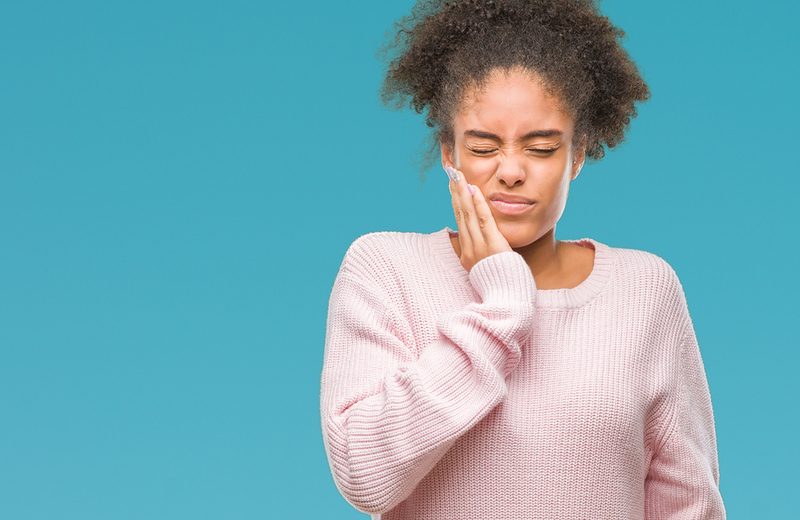 Regular preventive care can help you avoid the pain of toothache by diagnosing problems before they hurt and by preventing them in the first place. Bad breath (or halitosis): Did you know about one out of four people has a type of halitosis? Some may not even realize they have bad breath unless someone lets them know. However, you can take some easy steps to fix the problem. A dentist can help you figure out what’s causing bad breath and how to treat it. Gum disease: If your gums bleed when you floss or brush your teeth, or if they’re tender or swollen, those are early signs of gum disease. 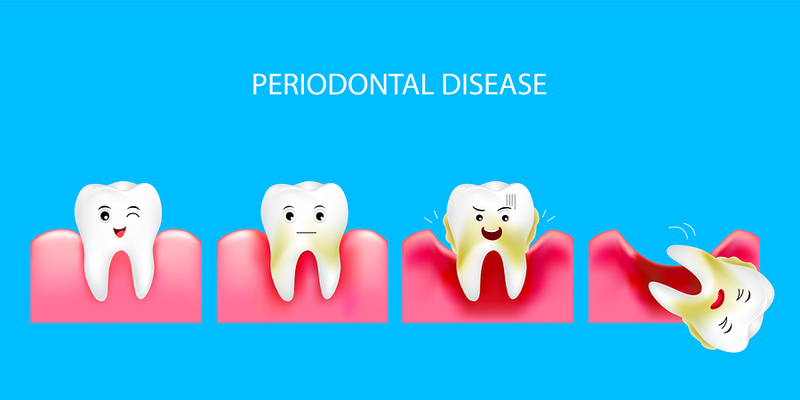 If it’s not treated, gum disease can cause tooth loss and lead to other serious health problems. A dentist has simple treatments that can help prevent or stop gum disease from progressing. Your teeth will last longer, and it won’t hurt to brush your teeth anymore. Your smile: If you have crooked, broken, yellow or missing teeth, it’s hard to feel good about your smile. Cosmetic dentistry today is so advanced that you can have your teeth restored better than ever, and not feel much discomfort at all. Don’t shortchange your own happiness with how you look and feel, just ask a dentist about the options you might have. These are just a few examples of why dental care is both important and easy compared to the alternative pain and tooth loss from poor dental hygiene. While you might know you have a dental problem, worrying about the treatment could prevent you from setting up an appointment. It’s easy to just take charge of the process. If you don’t feel comfortable with your current dentist for any reason, it’s perfectly fine to try somewhere else. Call or visit a few dentist offices before you decide which dentist to use. There are as many professional styles as there are people in dentistry, and eventually you’ll find a place you feel most at home. If you currently don’t have a dentist, or you’re thinking about trying a new one, how can you choose a dentist you feel comfortable with? Does the dentist use the latest techniques such as sedation dentistry or laser dentistry to minimize pain and discomfort for a patient? With sedation dentistry, no IV needle is used and you snooze during most of the procedure, but you can still respond to a question. Laser dentistry is virtually painless and doesn’t use drills and needles, which causes stress for many people. Many procedures can be done with laser dentistry, so if you find a dentist who offers it, that may make a good regular dentist for you. You can also get painless teeth whitening for a brighter smile. Does the dentist provide “dental health care” and not just “disease care”? A good dentist not only treats problems after they happen, but also encourages easy, routine cleanings and regular exams to check the health of your gums and teeth to prevent dental disease. Regular care is a lot less painful, and more affordable, than the “emergency care” model, when you call the dentist only if you have a serious – and painful – dental problem. Find a dentist where you are at ease with the hygienist who cleans your teeth and with the dentist who examines them. Just make that inexpensive 6 month cleaning and exam part of your regular self-care routine. Does the dentist office feel relaxed? A good dentist will know how to make your visit pleasant, from start to finish. The office should be sparkling clean and neat, but relaxed and inviting. Comfortable chairs, music or a low volume TV for entertainment can help take the edge off. Some offices may even offer coffee or tea for those who have to wait a bit. The staff should be quiet, busy and happy, helping patients to relax and feel welcome. If you don’t feel “at home”, it’s ok to find another dentist you enjoy visiting. Does the dentist take the time to inform you about your care? Trust is an important part of your relationship with a health care professional, and this is especially true for your dentist. Being able to ask questions before a procedure will help you feel less anxious and more at ease during the procedure. Your hygienist plays an important role as well. He or she can answer questions about dental care and gather information about any problems you have to let the dentist know. From front desk to the dentist chair, your entire dental team should be dedicated to giving you quality care that’s right for you. If you feel anxious. If you feel anxious on the day of your appointment, it’s ok to let the dentist know. This is more common than you may think. The dentist may suggest solutions, like taking breaks with a chance to walk around, a moment to relax or meditate, drinking a glass of water before he starts work, or adjusting the chair or light. Another solution is to break multiple treatment visits into multiple shorter visits. Just let the staff know, and you may be surprised how many ways they can help you feel better about your visit. Looking for a dentist in the Las Vegas area? 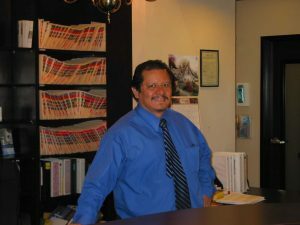 Dr. Jesus Medina, Jr. DDS provides personalized dental care for his patients. Whether you need routine preventive care or restorative dentistry, Dr. Medina uses the latest painless technologies, like Waterlase laser dentistry, and is dedicated to making sure all of his patients get the highest quality of care. Dr, Medina’s practice is conveniently located just off I-95 at the Rainbow interchange, at 777 N. Rainbow Boulevard, #395, Las Vegas, NV 89107. 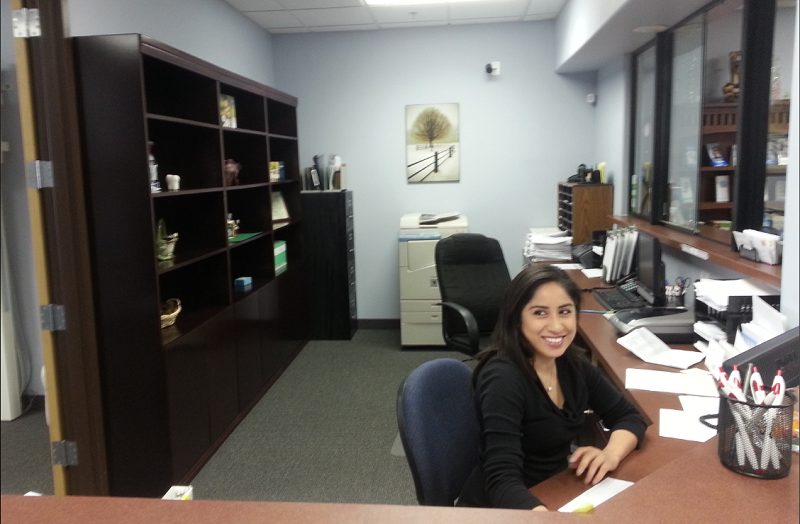 Contact his office at 702-368-3627 for more information about easy and pain-free dental care. As a child, you probably took your bright, new white teeth for granted. But, by now your smile may be showing signs of long-term exposure to things that make teeth look dull, yellow or stained. Teeth age and the surface enamel gets worn and stained. Different foods, coffee, cigarettes, wine, even illnesses or those missed dental cleanings – all these things contribute to teeth yellowing and staining over time. Even people who are very careful in caring for their teeth will find their teeth becoming less white over the years. Don’t be embarrassed about your smile. Today’s teeth whitening processes provide a solution that helps bring back those beautiful white teeth. 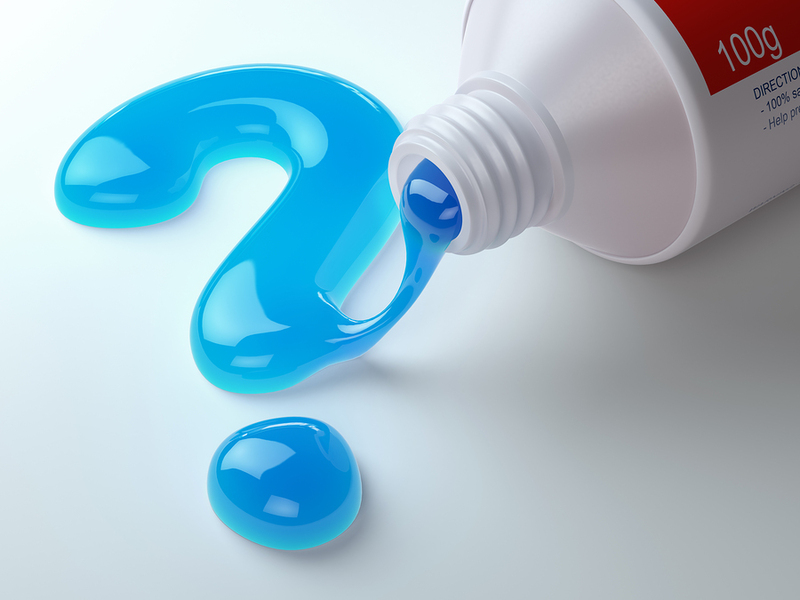 Here are answers to some of the most frequently asked questions about teeth whitening, to help you make a decision about whether or not you should whiten your teeth. Improve Appearance — a brighter smile can make a big difference in the way we look and more importantly, how we feel about ourselves. Correct Discoloration — removing specific stains or spots on one or more teeth. Balance Tooth Coloration — some people have widespread staining on either top or bottom teeth and want to balance out the color or shade of whiteness, to give the teeth a more uniform look. Increase Self-Confidence — knowing you look your best allows you to feel free to be yourself without being embarrassed or worried about the appearance of your teeth. Desired Change — for people who want to renew their look, teeth whitening is cheaper than having a facelift, Botox or other cosmetic procedure. Are over-the-counter teeth whiteners safe and effective? Teeth whitening products sold at pharmacies and grocery stores are fairly inexpensive. These typically contain a much less potent whitening gel than used by your dentist. The whitener is usually applied with small plastic strips or painted on with an applicator. This is a convenient alternative to professional whitening, though results may be less or inconsistent whitening. These do-it-yourself whitening kits are not customized to the individual patient and can cause increased sensitivity of teeth and gums burns or irritation. Are there natural ways to whiten my teeth? People have used various natural methods to care for their teeth for centuries. This includes teeth whitening. These methods are generally safe, but they are not generally effective enough to make a truly visible difference in the color of your teeth. From strawberries to oil pulling, here are a few of them. What methods are used for professional teeth whitening? These three methods are done in the dentist office or supervised by your dentist for best results. Whitening by Your Dentist — A special bleaching gel using hydrogen peroxide is used by dentists to achieve whiter teeth in under an hour at the dentist’s office. A rubber protective coating is used to protect gums from the enamel whitening solution. 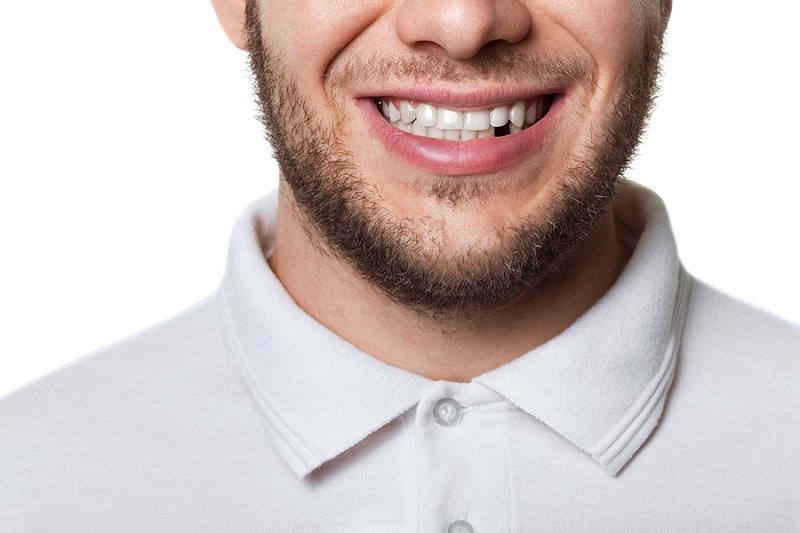 The procedure is followed up with bleaching at home, using custom whitening trays (which are included in the cost of the whitening procedure). Professionally Provided Whitening Kits — Professional-quality whitening supplies are provided by your dentist for you to use at home. Whitening gel is used in custom trays that are inserted into the mouth. These formulations are used for 30 minutes or longer, depending on your dentist’s assessment of your teeth. This is a safe whitening method, if you follow instructions and do not leave trays in too long. This convenient at-home method produces excellent results. On-The-Go Whitening — Your dentist can provide a whitening kit with a tray made of material that readily conforms to your teeth (instead of a custom-made tray). This process provides coverage from molar to molar, ensuring that the whitening gel covers more of the posterior teeth. A teeth-whitening session with your dentist usually takes less than an hour. The dentist will have you take home trays to use overnight, to follow-up the in-office procedure. Severe staining may require several sessions in the dental office to complete the whitening process. Teeth whitening is not a permanent solution. The regular daily use of our teeth continues breaking down tooth enamel and reducing its whiteness throughout our lifetimes. You are probably not going to stop drinking the dark-colored beverages that promote discoloration, and you cannot stop the aging process that inevitably thins the enamel. Therefore, teeth whitening will need to be repeated from time to time for the effects to continue. Can teeth whitening damage fillings or bonding? Teeth whitening is safe for teeth with restorations. Existing bonding, fillings, crowns, veneers and bridges are not damaged by teeth whitening agents or processes. Whitening may, however, make your teeth different colors than your restorations. Just keep in mind that, after you have your teeth whitened, a filling, crown or other restoration will remain the same color that it was previously. Can teeth-whitening toothpaste be used instead of whitening procedures? Whitening toothpastes do not contain anything that actually whitens teeth. These toothpastes can help maintain the whitening effects after bleaching, and are recommended for that purpose. Is teeth whitening bad for teeth? There is no evidence that whitening harms tooth enamel. Whitening does not make teeth softer or change the tooth surface—if the process is performed properly and cautiously. Of course, anything done in excess can be bad for a person, and teeth whitening is no exception. If you over-use whitening agents to strip your teeth over a long period of time, you may cause damage to your enamel. It is important to follow your dentist’s instructions and advice on whitening processes and frequency of application. What is GLO teeth whitening? If you’re looking for an easy, painless and fast professional teeth whitening procedure, GLO teeth whitening is one method we recommend. 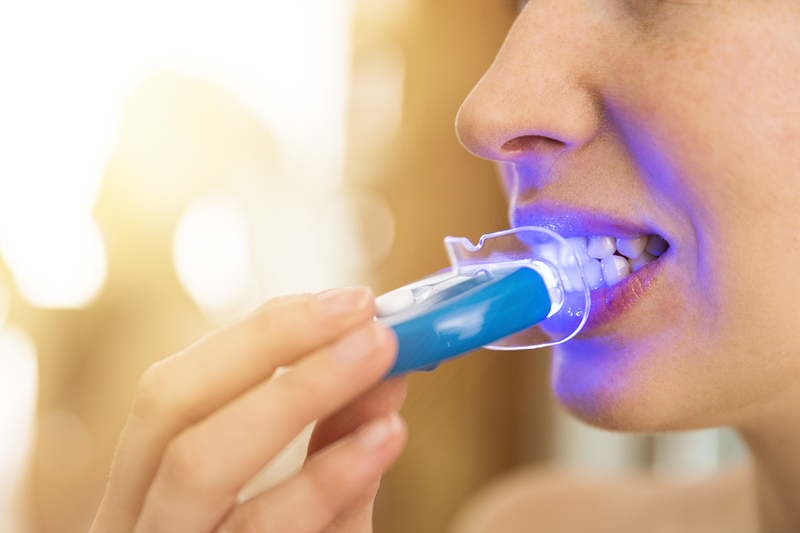 The GLO (Guided Light Optics) procedure uses a simple device that combines light and heat to activate the unique GLO tooth whitening gel. GLO provides the level of results that is only possible from a process performed in a dental office. Your office procedure is supplemented with simple home care that continues the whitening processes, giving you significant whitening in just a few days of use. The first step of the GLO process is a one-time in-office procedure. Heat and light are thoroughly and quickly introduced to the teeth, to remove stains from tobacco, coffee, tea, soda, medications, etc. as well age and genetic effects on the teeth. Then, follow-up at-home whitening materials and instructions are provided to complete the full process. Unlike other teeth whitening methods, the innovative GLO process does not cause any tooth sensitivity. You can expect to leave your dentist’s office after the whitening session with no discomfort. GLO also works better than other whitening procedures, due to its dual-step application process. How else can I keep my teeth white? After you get your teeth whitened, upkeep is required to keep them at their new level of whiteness. 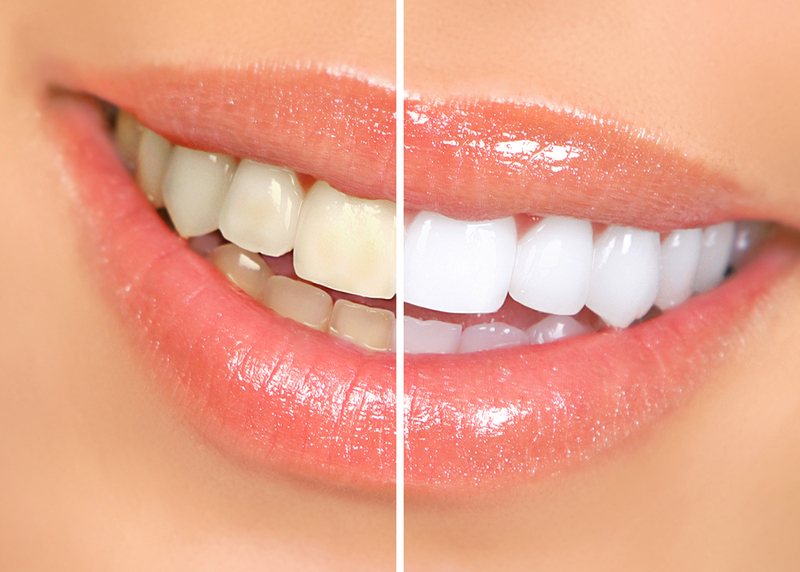 Use whitening toothpaste to help reduce new staining and discoloration. Use straws when drinking coffee, tea, dark-colored soda or other beverages, to reduce risk of staining your teeth. Do not grind your teeth, as it can cause spotting. Have a teeth whitening touch-up every six months. Our highly-skilled and caring dental professionals can help you achieve whiter and brighter teeth in just one brief visit—using the state-of-the-art GLO teeth whitening process. For more information about teeth whitening, contact Dr. Jesus Medina, Jr. DDS, by calling (702) 368-3627 to schedule an appointment. http://www.drjesusmedinajrdds.com/wp-content/uploads/2018/09/bigstock-Happy-Woman-Holding-A-Cup-Of-C-210330364.jpg 600 900 Dr. Jesus Medina Jr., DDS http://www.drjesusmedinajrdds.com/wp-content/uploads/2018/03/logo-Medina2.png Dr. Jesus Medina Jr., DDS2018-09-27 23:17:532018-09-28 18:42:20Should I Whiten My Teeth? 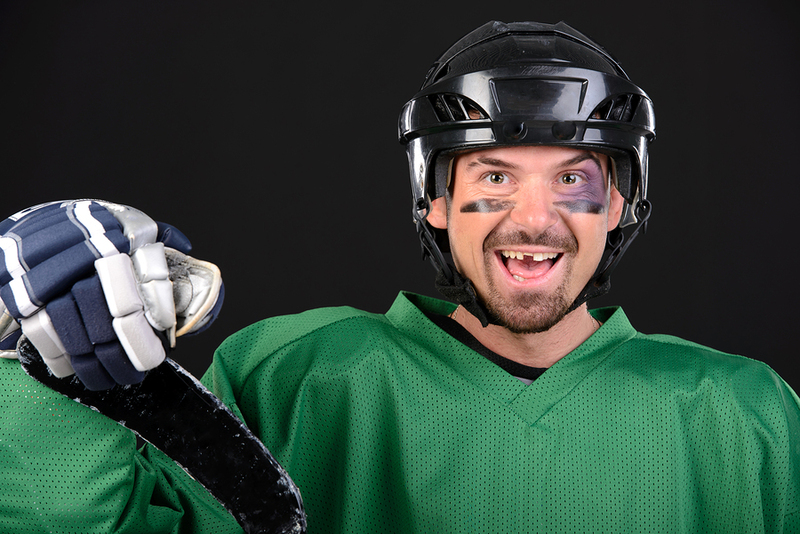 When you are missing teeth, it becomes more than a matter of appearance. The fact is, missing teeth can make the rest of your teeth prone to shifting, or even falling out due to the lack of supporting teeth on either side. Today, many people are considering dental implants as an alternative to traditional methods of tooth replacement, including bridges or partial dentures. Why? Because dental implants do not slip when eating, will not affect your speech pattern, and require no special care aside from your regular dental routine. Here are some answers to commonly asked questions when considering dental implants. 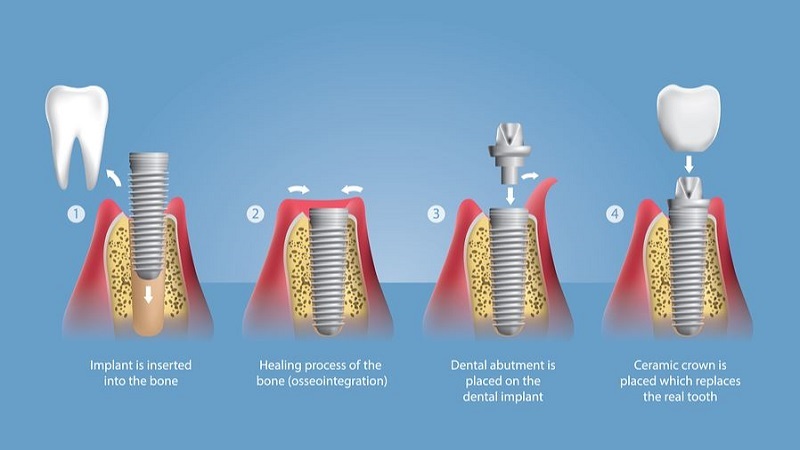 How are dental implants different? Dental implants are a permanent replacement for one or more missing teeth. A small titanium post is surgically implanted into the gum line at the location of missing teeth. Your dentist will then attach either a dental bridge or a replacement tooth creating strong replacement teeth that do not shake loose when eating and will not affect your speech delivery. The dental implants are cared for in the same manner that you would care for you original teeth – flossing, brushing, and rinsing. What type of issues can dental implants solve? Dental implants are more than a cosmetic solution to missing teeth replacement. They also act to prevent other teeth from shifting, which can cause further gum and tooth problems. 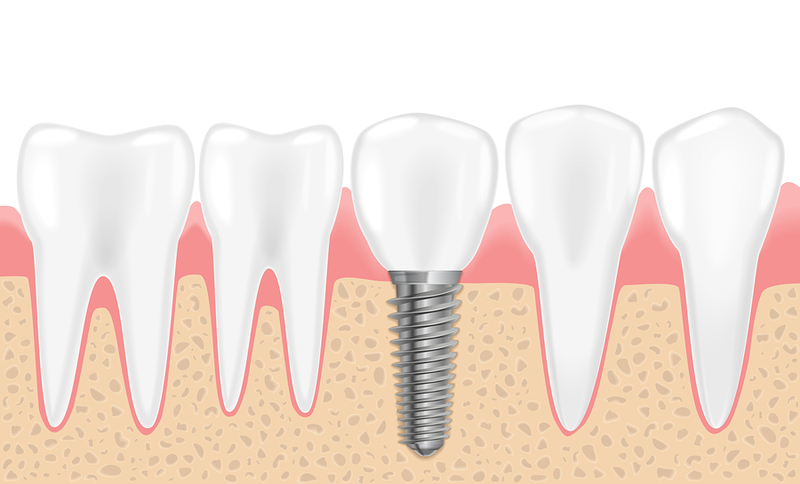 Some patients who suffer from irregular placement of teeth benefit from having their bite straightened with dental implants. The result is improved chewing which benefits food digestion. If you are suffering from jaw pain caused by TMJ or a misalignment of the jaw, dental implants can help to correct this condition and alleviate the tender muscles, jaw pain, and headaches or ear aches associated with TMJ. What are the health risks for this procedure? 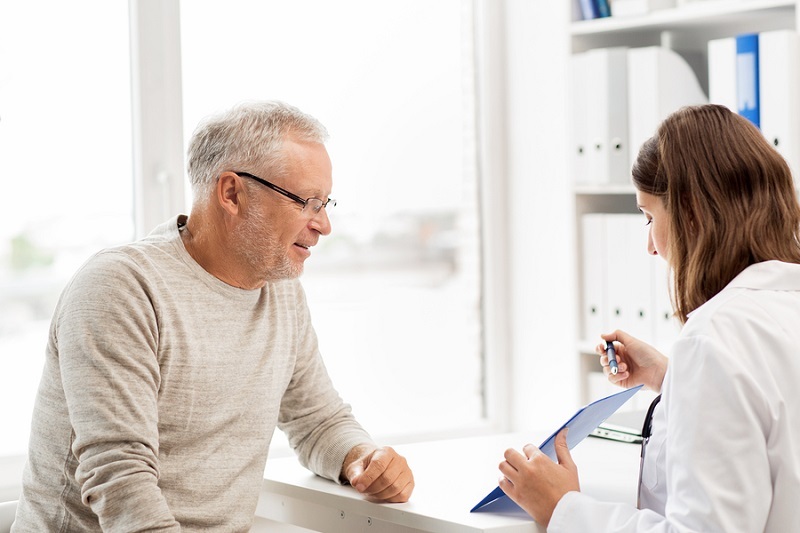 Similar to any dental surgery, implants pose the risk of infection or nerve damage – even though these issues are not common or are alleviated with common medications. Other less common risks include improperly placed dental implants in the upper jaw that could cause sinus problems or damage to other teeth or mouth tissue. Dental implants have become a common dental surgery and patients can expect good results and some pain at the insertion site, which is easily treated with a Tylenol prescription. What steps are needed before the surgery? 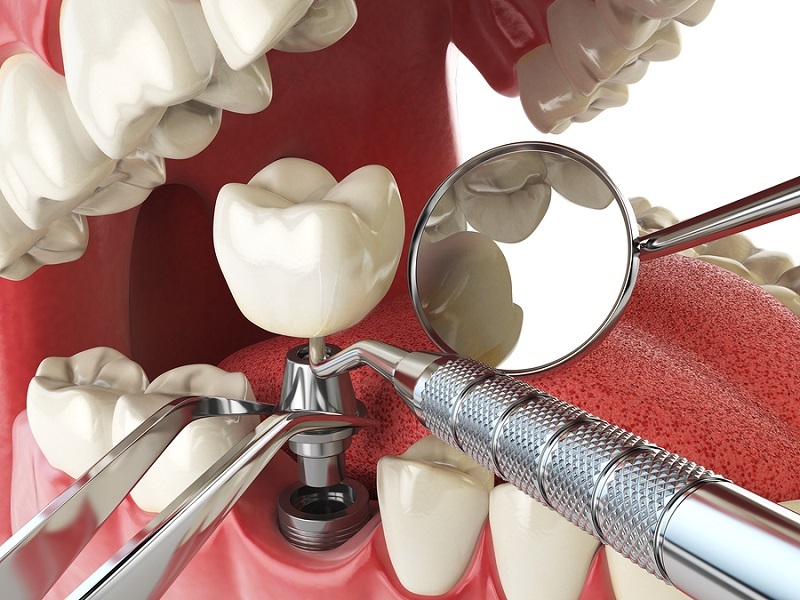 A dental implant procedure begins with an exam and diagnosis from a dental professional. 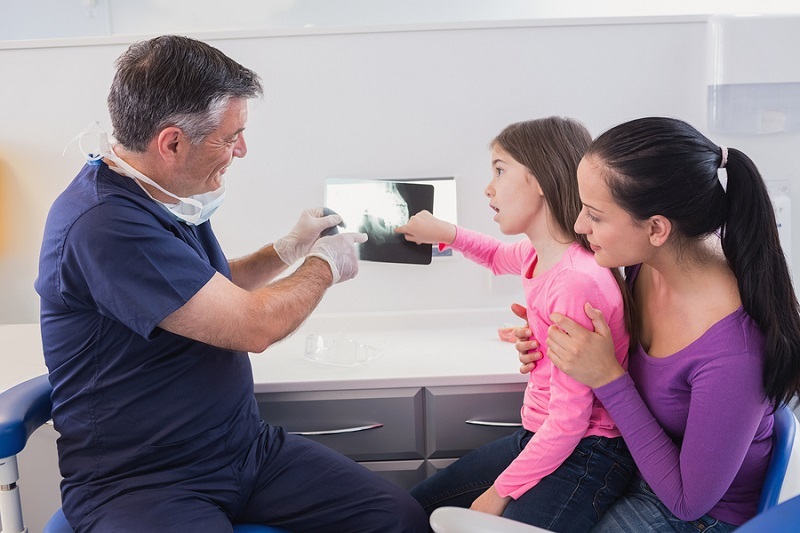 X-rays of your mouth is used to determine the least intrusive procedure for the greatest gain in replacing missing or bad teeth. Your dentist will also examine the quality of your gum line and the quantity of gum tissue for a successful implant procedure. As with any surgery, each procedure is customized for the patient’s condition, but most procedures can be completed in one day – while others that may require additional bone grafting can take months. 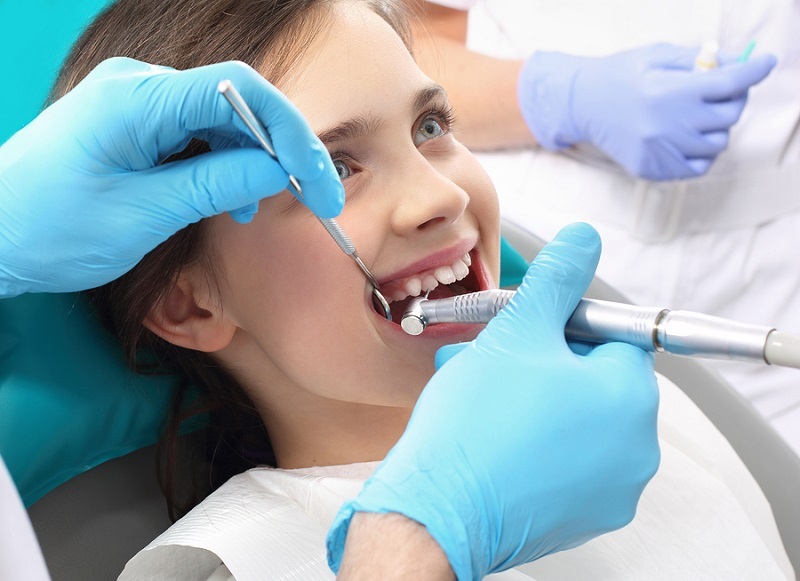 Most dental insurance programs cover dental emergencies and routine dental maintenance. Most also have a financial cap or a yearly maximum to be spent on standard treatment options such as extractions, a bridge, or dentures. While dental implants tend to be excluded from most dental insurance programs, when you partner with a dental implant specialist, financial options for payment are usually flexible. Always discuss your case with your dentist. If your missing teeth are part of a medical condition or if it is a work-related incident, the individual insurance policy may have provision for dental implants. If you are considering dental implants, contact Dr. Medina, a full service dentist in Las Vegas who specializes in dental implants, for more information and learn how dental implants can turn your smile into the healthy, vibrant look you deserve. http://www.drjesusmedinajrdds.com/wp-content/uploads/2018/06/las-vegas-dental-implants.jpg 533 800 Dr. Jesus Medina Jr., DDS http://www.drjesusmedinajrdds.com/wp-content/uploads/2018/03/logo-Medina2.png Dr. Jesus Medina Jr., DDS2018-06-11 18:08:022018-07-09 19:36:07Should I get dental implants? Most of us have memories of going to the dentist as a child. These memories probably included the chalky toothpaste and whirring toothbrush leaving your teeth pearly white, and of course the less fun x-rays and poking around looking for for cavities. Maybe you remember visits for those wonderful and embarrassing braces. For most of us, the dentist is there to keep our teeth healthy and make sure we don’t have any problems that lead to pain or tooth loss. But, do you know that your dentist today can do a lot more for you? Why do People Need Cosmetic Dentistry? A Cosmetic Dentist can Whiten Teeth: Some people have strong stains on their teeth from a variety of cause from smoking to drinking soda, coffee, or tea. People may feel self-conscious about the stains on their teeth and subconsciously avoid enjoyable situations like sharing meals, laughing and talking with friends. With the help of a cosmetic dentist, stained teeth can be restored to look fresh and white once again. A Cosmetic Dentist can Fix Chipped or Broken Teeth: A cosmetic dentist is also capable of helping people who have chipped or broken their teeth. Some people have unfortunate accidents or weakened teeth that result in the complete or partial loss of a tooth, making them unhappy with the appearance of their smile. 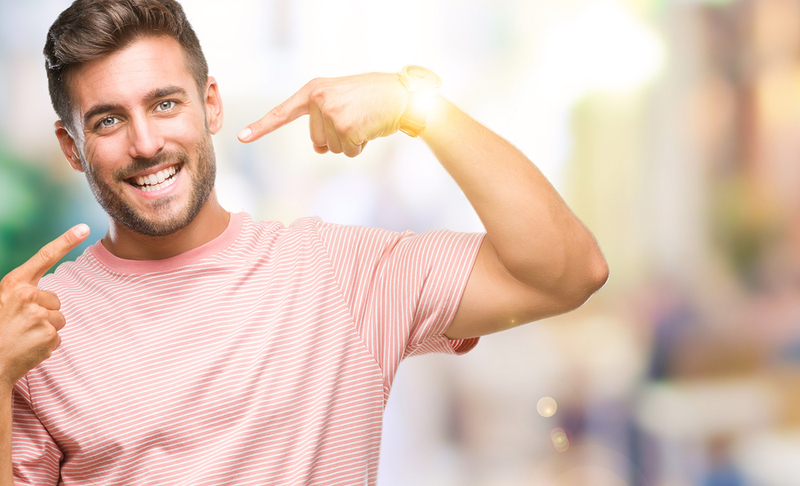 A cosmetic dentist can apply caps, porcelain veneers, dental bridges, or other treatments to restore missing or broken teeth to their full and natural appearance. A Cosmetic Dentist can Contour Teeth: Some people do not like the shape of certain teeth or need one or more teeth to be contoured to fit the teeth around it and the shape of the patient’s mouth. A cosmetic dentist is able to contour teeth. A Cosmetic Dentist can Straighten Teeth: Whether or not someone had braces to straighten their teeth as a child, there are other issues with a person’s teeth alignment that arise during adulthood. If the teeth aren’t straight, it can be challenging to adequately clean the teeth. This makes it easier for cavities to develop, giving rise to numerous oral health problems. Options for teeth straightening include traditional metal braces and Invisalign, or removable, clear braces. Contouring can help correct misshapen teeth that are not misaligned. A Cosmetic Dentist can Help with Implants: If someone is missing a tooth, there are numerous options available. A patient can elect to have a fixed porcelain bridge or a complete implant. Having an implant placed can help make it easier for someone to chew while also helping to keep their teeth in the proper location. A Cosmetic Dentist can Treat Speech Issues: Crooked or missing teeth can make it difficult for someone to speak properly because people use their teeth and their tongue to articulate sounds and words. 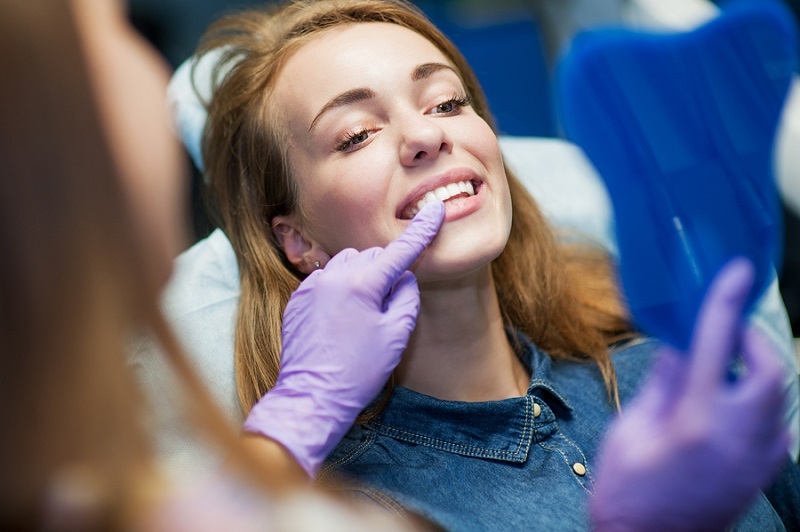 If a patient is struggling with these issues, a cosmetic dentist may be able to provide treatment options to move the teeth into positions that allow someone to speak in a clear manner. A Cosmetic Dentist can Help with Sensitive Teeth: Some people have overly sensitive teeth that send painful shocks throughout their mouth when they eat foods or drink liquids at hot or cold temperatures. This may be a result of microscopic gaps that develop in the surface of the tooth, exposing the underlying material, dentin, which sends signals to the nerves in your teeth. For people who struggle with this issue, a cosmetic dentist may be able to help by restoring the surface of the sensitive tooth. In the end, these are only a few of the reasons to see a cosmetic dentist. Without a doubt, a healthy, white smile can restore self-esteem and confidence to enjoy the simple things in life again like food and friends. 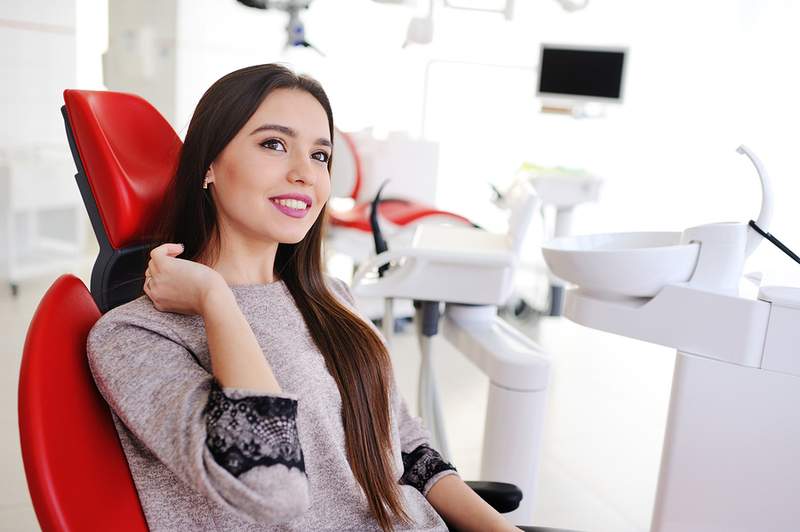 Of course, a cosmetic dentist can also make tasks like chewing, talking, and brushing easier, and help patients maintain their oral health in the process. Either way, to make the most of your dental health, make it a habit to visit a dentist regularly. You’ll enjoy a better smile for years to come. For more information on how cosmetic dentistry can help, give Dr. Medina in Las Vegas a call or contact us today. http://www.drjesusmedinajrdds.com/wp-content/uploads/2017/04/do-you-need-las-vegas-cosmetic-dentist.jpg 374 800 Dr. Jesus Medina Jr., DDS http://www.drjesusmedinajrdds.com/wp-content/uploads/2018/03/logo-Medina2.png Dr. Jesus Medina Jr., DDS2017-04-17 06:22:572018-07-09 21:38:25Do I Need a Cosmetic Dentist? 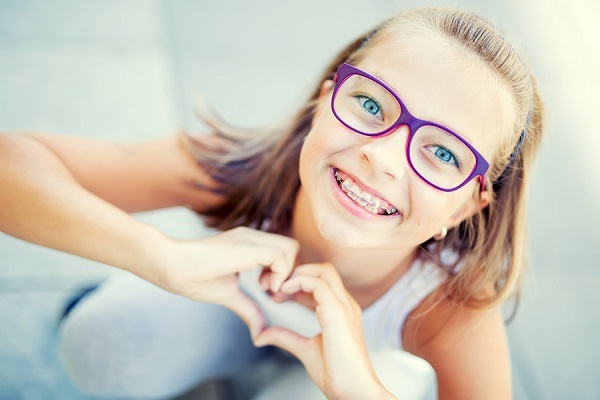 People of all ages tend to avoid getting dental braces for a wide variety of reasons. Most people don’t want to feel or be seen with brackets, wires, or bands on their teeth. While these factor into a person’s general comfort, did you know that there are medical reasons to avoid traditional metal braces as well? Traditional dental brace care can be a hassle. Brushing and flossing are both key components of maintaining your periodontic or gum health, but braces make these practices more difficult. 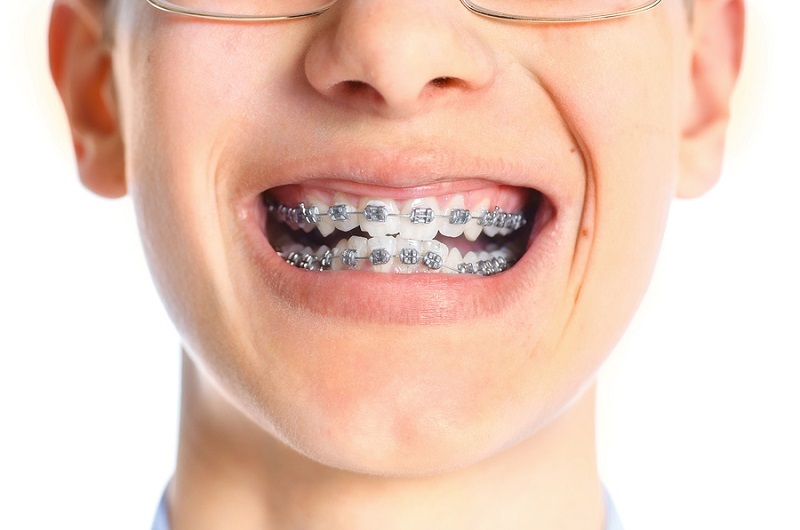 Metal braces partially impede the route to your teeth and gums. As a result, you become more susceptible to plaque buildup, tooth discoloration, and tooth decay. Many people already have trouble flossing without braces, and they’ll have even more difficulties threading floss or using proper flossing techniques with metal braces on. This can lead to an overall lower level of dental hygiene which can lead to tooth and gum health issues. 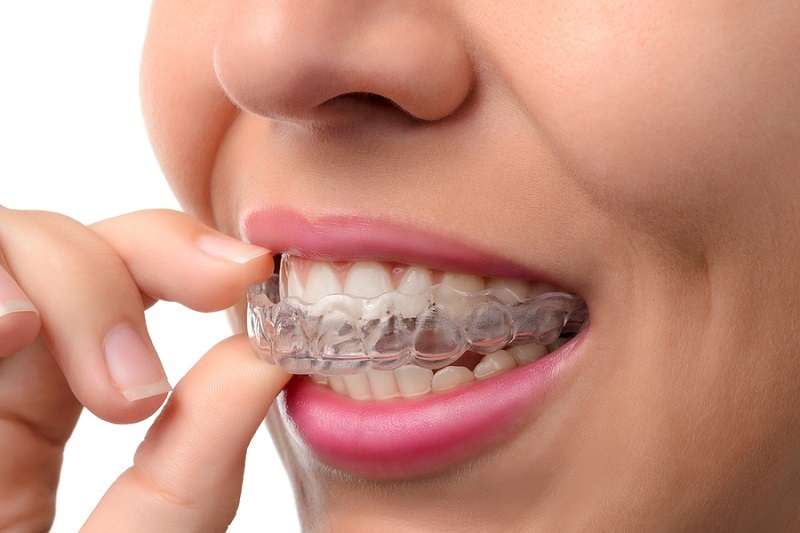 Not only can braces be restrictive for cleaning, but they also add uncomfortable bulk between the teeth and the cheek. Brackets and brace wires can cause irritation, mouth sores, and small injuries. While irritation can be somewhat alleviated with dental wax, accidents can and will happen. Allowing an issue to persist not only adds to your temporary discomfort, but may also lengthen your overall treatment duration. For example, something outside your control may cause part of your braces to pop loose. Many a brace-wearer can tell the story of eating a casual lunch, and being interrupted by a sudden loose wire resulting in the need to schedule an urgent dentist appointment to fix it. Speaking of eating, traditional metal braces limit your food options as well. To maintain the integrity of the braces, you need to avoid eating things that are too hard or sticky. As a result, many foods that negatively affect metal braces have to be skipped over on the menu. The extra attention and care required to eat some common, healthful foods like crisp apples or carrots may even contribute to a poorly-balanced diet. Even allowed foods can end up being hard to deal with when wearing metal braces. Would you keep ordering something if you knew it got stuck in your braces every time? So what alternatives do you have for metal braces? At our dental practice, we regularly provide assessments for Invisalign – a custom-made series of clear, removable aligner trays. 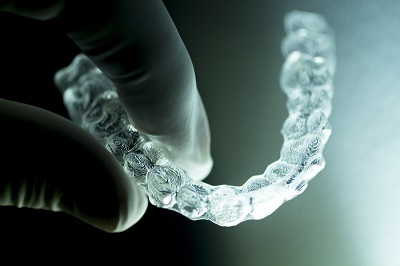 Invisalign works by gradually shifting your teeth until treatment is complete. Since the trays are removable, your brushing, flossing, and eating habits don’t need to change. As an added benefit, you’ll avoid the discomfort of metal brackets and remove any insecurities you may have associated with being seen wearing those traditional grill-like metal dental braces. When considering Invisalign, patients will sometimes ask about other alternatives such as veneers or similar treatments. Since the purpose of these treatments is to cover up dental imperfections, they won’t correct the same problems that dental braces do. They don’t straighten teeth or treat cases of spacing, crowding, crossbite, overbite, or underbite. Most importantly, straightening teeth and addressing jaw discrepancies increase the likelihood of improved oral health and prevention of other health problems. For more information about Invisalign and how it can help you, give us a call! Until recently, patients with gum disease dreaded the painful, invasive techniques and the long healing time involved in gum treatment procedures. Many patients delay treatment because of their anxiety over the grueling traditional approach to gum disease care and treatment which allows the disease more time to advance and cause tooth decay, gum erosion, and other health issues throughout the body. 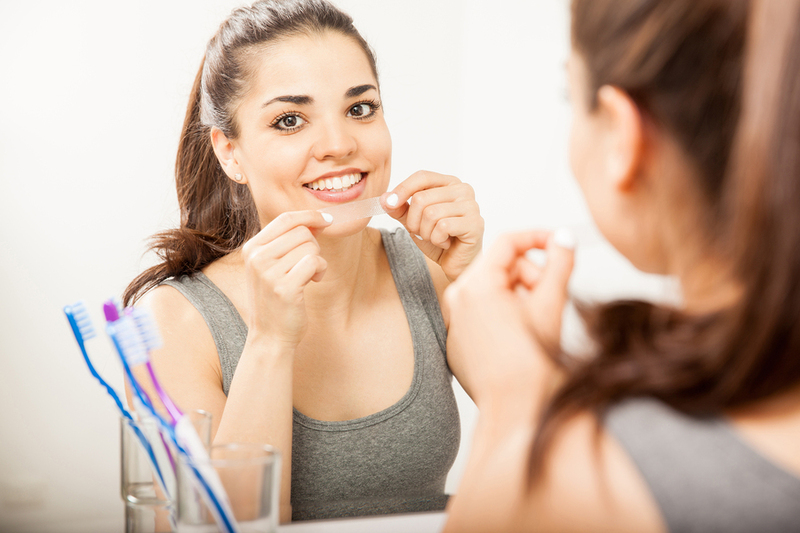 Why is Early Gum Disease Care and Treatment so Important? Gum disease afflicts many people and can lead to serious consequences. Some people are at higher risk of gum disease and may not know it. Misaligned bite, tobacco use, and some medications, including those that cause a dry mouth, may cause a higher risk of gum disease. Poor dental hygiene and lack of regular dental care are other major causes of progressive gum disease. Symptoms of gum disease include red, swollen gums and bleeding during toothbrushing. 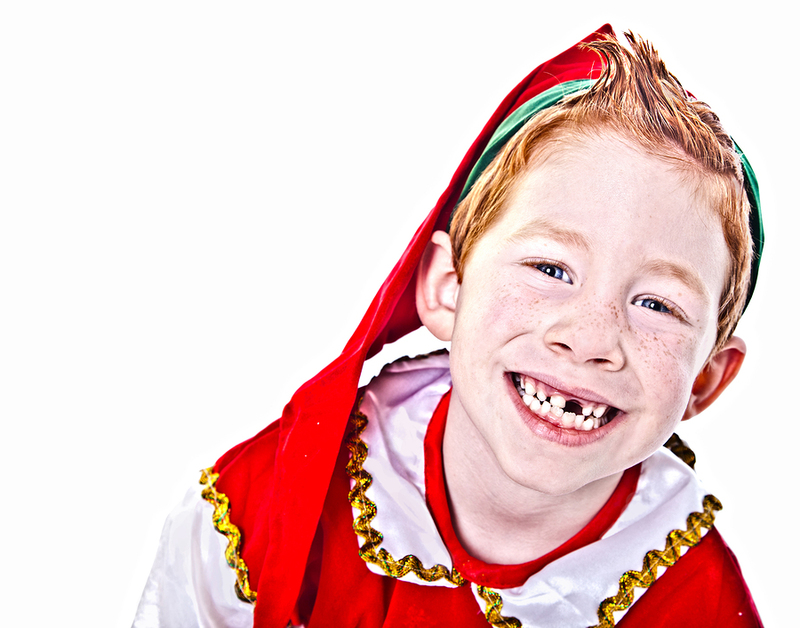 This stage of the disease is called gingivitis. 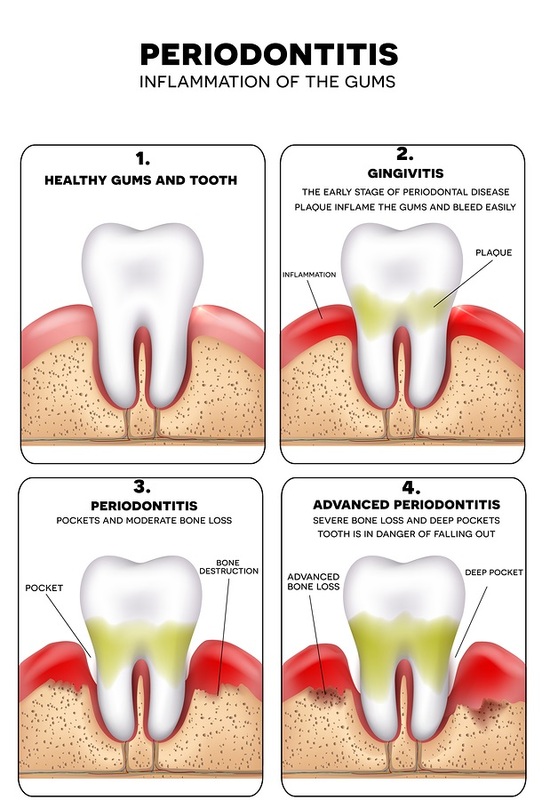 If untreated, gingivitis can lead to periodontal disease in which the gum tissue itself retreats from the tooth and infection below the gum line sets in. This can lead to a breakdown of the gums and bone tissue, as well as tooth decay and eventual loss of the tooth. And, the oral bacteria found in the gum tissue is implicated in other diseases as well, including colon cancer, heart disease, and diabetes. Because many patients fear the discomfort of traditional gum disease treatment, finding a solution to making gum care more appealing is an important advance for dentistry. Dr. Jesus Medina, DDS, recently announced a new gum disease care and treatment option to his patients, offering the revolutionary laser dentistry. Laser dentistry procedure eliminates the need to cut the gums, using a fine laser to remove infection instead. And, it stimulates the growth of new, healthy tissue and speeds the recovery process. The procedure is far less painful than traditional gum disease treatment, so it does not require anesthesia or shots. Dr. Medina is eager to get the word out so that patients who are putting off treatment for their gum disease due to anxiety over pain and healing time know that there is a more gentle and effective option for gum disease care and treatment. Call or contact our office today for more information or to get started on taking good care of your oral health today.